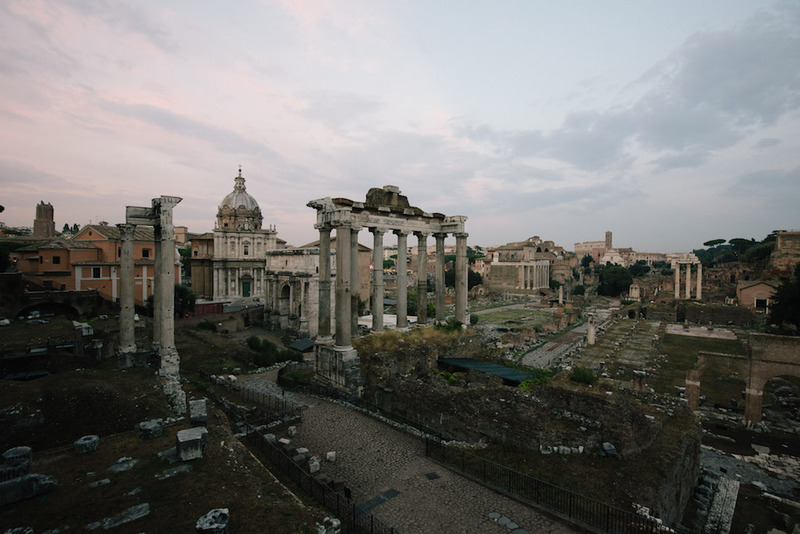 Every year, the timeless, magnetic charm of Rome inspires many couples from all over the world dreaming of a romantic destination wedding to say their vows in Rome. A unique city, where modern, ancient and medieval faultlessly blend, Rome makes a beautiful setting for a more intimate wedding or grand luxury celebration. As one of the very first wedding planners in Rome specialising in the creation and coordination of destination weddings (mainly working with couples from the UK, Ireland, the US, Australia, but also from other countries all over the world), here are my main reasons to say your “I do’s” in one of the most enchanting cities in the world. While there are many reasons Rome has become a top wedding destination for couples around the globe, the weather is definitely one of them. You can easily plan for an outdoor wedding reception, whether on a rooftop with breathtaking views of the Eternal city or in a garden eating al fresco from March throughout September and even October, with the so-called “ottobrate romane” (Roman October days, known to be usually incredibly mild). If you want to have guests raving about the delicious food they’ve had at the reception and talk about it for the years to come, then you must choose Rome as your wedding destination. Italy is famous all over the world for its wonderful dishes and Rome has a traditional cuisine dating back in centuries which is the perfect balance between the more Nordic cuisine and the more Southern one. The dishes you’ll try here are nothing like the ones you’ve had back home, but a thousand times better! Having travelled extensively, I did try some Italian restaurants abroad, and while a few of them (very few!) were ok, none could offer the same quality and true taste you’ll find here. So forget about pizza with pineapple and don’t ask for pasta with Alfredo sauce; this is not authentic Italian food. Try a real Carbonara or “Cacio e Pepe” (cheese and pepper) pasta; try some food you’ll never have anywhere else in the world like courgette (zucchini) flowers with mozzarella cheese and anchovies (one of my bride this year is totally crazy about them!). Rome is a captivating wedding destination, offering spectacular venues for everyone. Civil weddings are celebrated in some exquisite venues in the city centre (more in my future blog about civil weddings in Rome), or in one of the many ancient Catholic churches which will leave you breathless (more in my future blog about Catholic weddings in Rome) Protestant weddings can be celebrated in the appropriate churches and Jewish weddings in the Great Synagogue near the famous Tiber river. And for a symbolic wedding with no legal value, you could choose among Villas surrounded by gardens or Castles or Rooftops with stunning views of the Eternal city. Rome, guardian of the Italian artistic treasure, is the perfect backdrop for the most breath-taking pictures. 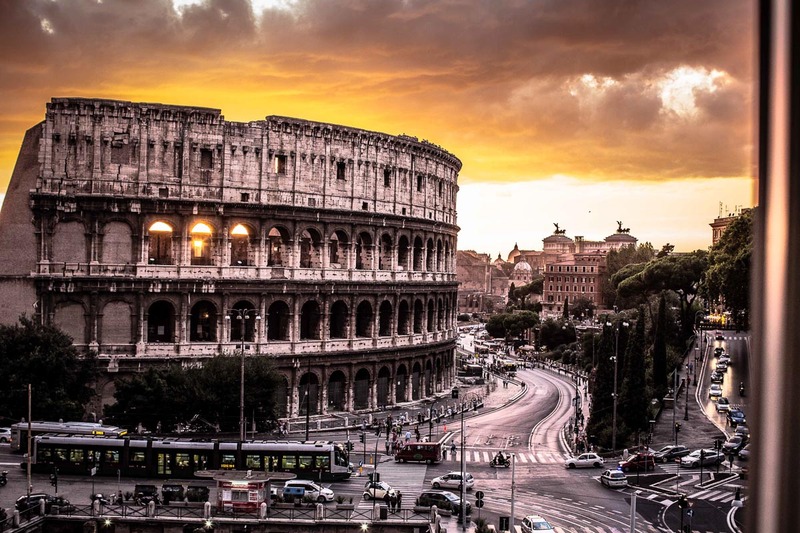 From strolling hand in hand down the sweeping cobbled streets, stopping to taste artisanal gelato, passing by world-renowned landmarks, such as the Colosseum, throwing the famous coin into Trevi Fountain while wishing to come back, Rome offers plenty iconic and romantic sights for jaw-dropping pictures. 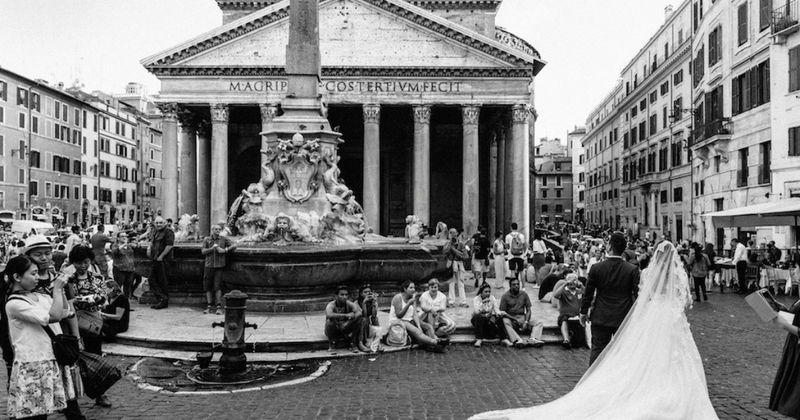 I’ve been planning weddings in Rome since 2005 and have received positive feedback from so many couples from all over the world who’ve chosen to have their destination wedding in Rome. I can honestly say that the Eternal City is incomparable and will offer you an unforgettable experience. This is the perfect destination for a romantic, sunny, tasteful wedding that will leave you and all your guests speechless. Of course, getting the help of a wedding planner like myself will prove crucial to navigating through bureaucracy and ensuring the best locations and the best suppliers. If you are looking for a personal, tailor-made approach and someone with great experience, who’s been able to build very good relationships with the finest reception venues, the Marriage Office in Rome, churches and vendors, then here I am and I would love to chat with you to help you create your dream wedding.